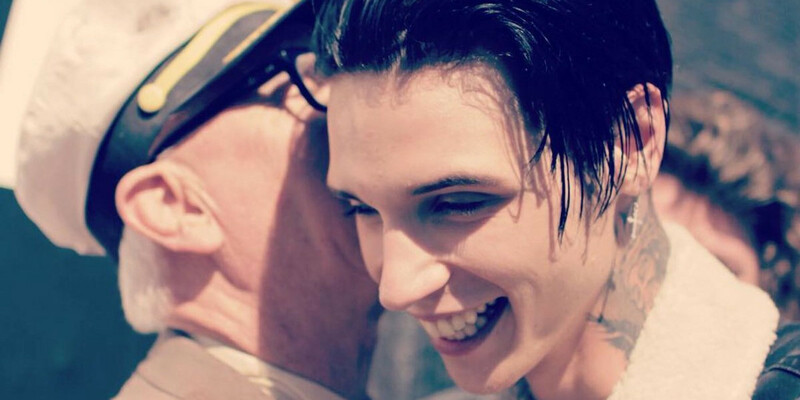 When it was announced earlier this year that American Satan would be getting its very own spin-off television series, questions were raised as to whether Black Veil Brides' Andy Biersack and Asking Alexandria's Ben Bruce would be reprising their roles. In an instagram post from behind the scenes, Ben Bruce shared "Myself, Andy and BooBoo are all back playing our original roles from American Satan in the brand new TV series Paradise City." The show Paradise City picks up where American Satan left off, with Andy and Ben taking on roles as members of The Relentless, a band who "drop out of college and move to the Sunset Strip to chase their dreams." Myself, Andy and BooBoo are all back playing our original roles from American Satan in the brand new TV series “Paradise City”. A very warm welcome to our new Co Star Natalie Eva Marie. CAN YOU GUESS WHO ELSE WILL BE JOINING US IN THE NEW SERIES?